A shift was made from the traditional prayer and memorial lecture to a focus on social cohesion and education . With this in mind a secondary school was invited to bring 100 learners to the Phoenix Settlement for a programme. “Be the change you wish to see in the world” was the message that was highlighted by three movies. The importance of the message was that the message does not prescribe, it allows you to decide what is the change that you wish to see. But it does insist that you can only achieve that change by starting with yourself. If you can do it others can. If you refuse to do it then why expect others to do it? Of the three movies, the first was on Gandhiji, Martin Luther King and a less known person Diasaku Ikeda. Rosa Parks was also featured in the civil rights movement in the USA. The film gives a number of historic facts important for history students but also emphasises the importance of nonviolence and unity among all. After this 25 minute movie learners were asked to come up and say what one thing in the film impressed them most. The idea that we have to change ourselves before we ask others to do so. That learning about our history was important. The second movie was based on the song “What a beautiful world” and although we see beauty we also see the horrors of the world and the question we ask is, is it really a beautiful world. There were some very horrific scenes of war and slaughter of people and children. It was meant to jolt us into reality about our present situation in the world and to begin to think of what we can do to change our world. What three things can we do collectively so that these changes happen. What changes are necessary for us to have a better life? Make sure that Taxi drivers do not drive fast in our areas because children’s lives are in danger. Change is possible if everyone wants change and agrees on it. Encourage everyone to think about their future and to forget about peer pressure. Girls should stop wearing short dresses so that sexual harassment can be curbed. This report back session was followed by comments from some of the elders. One elder urged learners to study hard and take advantage of the education they are receiving as without education there can be no progress. She emphasized that deviating from education and engaging in other forms of deviations such as drugs, alcohol and sexual engagement would mislead them and interfere with their education rendering them to a life of poverty and destitution. Another elder emphasized the importance of history and how it can help to enhance one’s understanding of life and appreciation of the liberation we have won and at what sacrifices. He lamented the fact that our democratic government had chosen not to make history compulsory for every child. The final message was that we need to inform other people of these programmes and the value of such programmes. We should also encourage people to visit the Phoenix Settlement and learn about our history from the exhibitions in this place. We should also begin to think about the importance of March 21st and human rights and how we can each contribute towards building a culture of human rights in South Africa so that we can really make the changes happen. 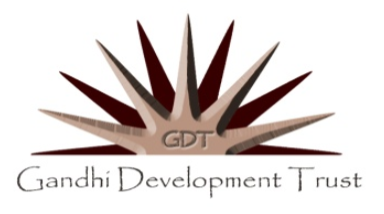 This report is being circulated to the school and to the GDT and Phoenix group to take this process forward so that more people can be involved and so that what has been started can be built on.